Considering an adjustable bed? See how leading brands compare and learn how to choose the right base for your needs with our detailed 2015 guide. 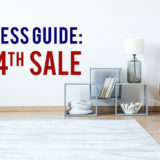 When shopping for adjustable beds, it can be helpful to know the basics about features and specifications so you know what to compare and what to look for. In this guide, we’ll begin by introducing the “foundations” of adjustable bases and then get into brand comparisons. Many new adjustable beds come with loads of features, so there is a lot of information to keep track of. If you’re shopping for an adjustable base, you probably know that the main function of these bed frames is that they allow you to adjust the head and foot to different angles. More luxurious models come with an array of various features. Unlike regular flat bed frames, adjustable beds can achieve a wide variety of angles and positions. Some retailers boast of an “infinite” number of combinations. This adjustability is beneficial for relieving back pain, aiding circulation, reducing swelling, improving breathing, aiding mobility and other concerns. The health aspects of adjustable beds have been known for years, which is why they’ve historically been used for the elderly and infirm. Now these beds are becoming common in the home for people of all ages. Adjustable bases simply make relaxing in bed, watching TV, or reading more ergonomic and comfortable. Some models come with features like massage, snore buttons and other features designed to improve comfort and convenience, too. Not surprisingly, adjustable beds tend to make a bedroom get a lot more attention. Adjustable bed = Adjustable base. Both of these terms refer to the same item, the foundation piece that actually adjusts the mattress. They can be found paired with different mattresses, but are often sold without a mattress as well. If you buy a mattress separately, make sure it is compatible with the frame you are getting. Sizing. Adjustable bases largely follow standard US mattress sizing but many brands come in “XL” sizes for Twin and Fulls, which are 80 inches long rather than 75 inches to better accommodate adults. 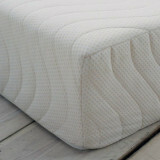 Split bases are also available in queen and king sizes, which allow couples to adjust their sides independently. Weight capacities. Look for the weight capacity rating (usually somewhere between 250 and 600 lbs). This refers to the total amount of weight the base can support, including both the mattress and all sleepers. AC versus DC. These are types of electrical currents used to power the adjustable bed motors. DC current is generally quieter than AC, but AC current is generally more powerful. The majority of bases on the market use DC current. AC current from a wall outlet is converted to DC by power converter in the bed’s motor. Wall-hugger/wall saver. Bases that say wall hugger or wall saver are designed to keep the head of the bed near the wall, which keeps your nightstand in reach. This is also important if you want to use a wood bed frame or footboard as these types of beds are more accomodating. Wireless versus wired. Wired controls are mostly found on entry-level models. They have the benefit of never going missing or needing batteries, but the cords can be bothersome. Wireless controls offer greater convenience and don’t disrupt decor, but usually do need batteries. Legs versus casters. Some bases come with casters (aka wheeled legs) which may be helpful for cleaning under and moving the base if you do not plan on using a wood bed frame. Regular legs can provide more stability and may be more aesthetically pleasing. Some brands offer legs and casters in multiple heights to accommodate your needs. Mattress choices. If you aren’t buying an adjustable bed and mattress set together, you’ll need to choose a compatible mattress for your base. If you are buying a split base, know that you will need two mattresses (two 30”x80” halves for queens, 38”x80” for kings, and 36”x84” for cal kings. You will not need a boxspring or a foundation, as the adjustable base supports the mattress. Most memory foam and latex beds are inherently compatible with adjustables, and some innerspring may be as well. Check with the manufacturer to make sure it won’t void the mattress warranty, especially if it doesn’t specify adjustable bed compatible. Higher-end adjustable beds can also come with a wide range of additional features designed to enhance comfort or convenience. These aren’t your grandparents’ bed frames! Here’s an overview of the bells and whistles you might see, so you can determine which might be useful for you. Massage. Some bases have vibrational massage features, which can help alleviate tension and relax muscles. Rolling massage means the vibes roll from head to toe, while customizable options let you select the zone and intensity. Programmable buttons. Remotes with programmable buttons or memory let you save your favorite position(s) so you can get comfortable quickly, typically with one press of a button. Zero Gravity. This is a preset position on some remotes that places you in a specifically designed posture that mimics weightlessness with your head at a slightly elevated angle and your knees higher, above your heart. The Zero Gravity position eases the stress on various points of the body, helping to relieve lower back tension and boost breathing and circulation. Mattress retainer. This is a bar or lip at the foot of the bed designed to keep your mattress in place. Some brands also use retainers at the head, or attach the mattresses in other ways. Smartphone apps. If you’re a tech junkie, you may like the ability to use your phone and tablet to move your bed. Some beds have this built-in, others use an add-on for smartphone functionality. Snore stoppers. If you have a partner that snores, some remotes include functions that allow you slightly change their position without waking them. Sleep and wake functions. Some bases incorporate timing functions that put you in a sleep position at a set bedtime, and gently wake with gentle vibration in the morning at a time of your choosing. Safety features. Battery backup is a helpful feature have in the event power goes out, as it will allow you to make the bed flat. Free fall designs also help prevent injuries to limbs and pets that get between the base and frame. Built in sound. A few bases also include speakers for a built-in sound experience. Adjustable bed warranties can get pretty complicated, as they are mechanical and electrical items. Always read the detailed warranty terms before buying so you can make sure your investment is sound. A decent bed should have at least a couple years of full coverage for the motor and moving parts, and include the cost of repair if an issue pops up. This coverage can last anywhere from zero to five years. Many brands also include a few years of “parts-only” coverage, which will provide parts at no cost, but does not cover labor charges. Pro-rated periods usually cover a portion of parts (and possibly labor) based on how long you’ve owned the bed (with the amount you pay increasing over time). Below, we’ve compared popular adjustable beds from leading brands to give you a head start on shopping. In the chart, you’ll see the most important specification details and distinguishing features for each base. We also collected warranty details (expressed with years of full coverage in parentheses), pricing details and consumer reviews. Pricing and review data comes from retailer and brand websites, consumer review websites, and third party review sites. Note that some manufacturers do not allow reviews and do not publish pricing, and in these cases we put an “ND” to indicate we were unable to locate information or it was not disclosed. Based on our comparisons of features, reviews, and warranties, and other criteria, here are the adjustable bases that we believe currently offer the best overall value. Both of these bases offer basic adjustability features and decent warranties. The Designer Series costs a little more, but also adds a zero-gravity feature, optional legs and a longer warranty in addition to modern, furniture-style look. Fully-featured adjustable beds are one of the top trends right now, and there are options with everything from functions like massage to add ons like USB hubs and electronic outlet connectivity. The Astrabeds ErgoStar Evolution base is great value for those seeking core features like massage, zero-gravity and programmable remotes, and it is also one of the best-rated adjustable beds online (and one of the most-rated) with over 60 verified customer ratings averaging 4.6 out of 5 stars. The Amerisleep Adjustable Bed offers extra features like app controls compatible with iPhone and Android, snore function, USB ports, integrated lights and even pillow-tilt upper head adjustability. The Serta Motion Perfect II is also an interesting high-end option with many similar features. It too has smartphone app functionality, integrated lights and speakers, USB hubs and more. If you’re trying to find the best adjustable bed, the key things to keep in mind are how you plan to use the bed, which features you feel would be most useful, the type of mattress you prefer, and, of course, your budget. Don’t stretch too far from your budgetary limits, but remember this is an investment in your health and comfort. As with any major purchase, it is wise to compare the quality and specifications of bases to others on the market and see which offers you the best value for what you’re seeking. Make sure the guarantees, features and pricing are in line with similar options. Some adjustable bed companies are known for high pressure tactics, but don’t feel pressured to buy before you’ve had a chance to do your research. Shopping online can remove that aspect of pressure. Salespeople often come to rely on pressure driven sales in showrooms or in-person presentations. It can be tough to escape once you’re engaged in in enthusiastic negotiations. Online shopping eliminates the pressure and allows you to shop at your leisure in your own home. 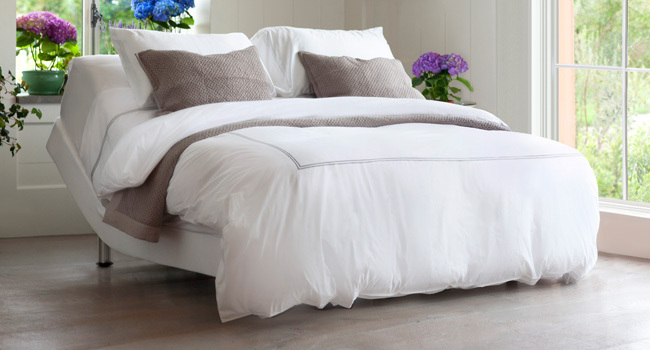 Getting a new addition to your bedroom can be exciting, especially a luxury item like an adjustable bed. If you take your time and use your head, you will find the one you’re looking for at a price you can be happy with. If you have any other questions about adjustable beds, feel free to drop us a line below! 9 months ago I purchased an king Aireloom Mattress, 6/6 Matt Lundon Xfirm of foam . Within 3 months the side on which I sleep ceased to support my back. I weigh 110 pounds. No one else sleeps in the bed. I phoned the store, they inspected it and found it was sagging and honored the warranty to replace it. I liked the mattress before it sagged but am hesitant to replace it with the same mattress. of purchasers reported sagging with this brand. I have 15 days to make a decision. Is there any furniture shop in Courtenay, BC (Vancouver Island) selling adustable beds ? Perhaps I can buy an Amerisleep Ergo Pursuit on-line? Will deliver to an apartment on the 2nd floor? Which mattresses are manufactured without toxic memory foam? Im interested in amerisleep adjustable bed. Wondering what more you could tell me about there quality. But im also concerned about buying something I cant see and try out first? It would be for me and my wife we are in our mid 40’s , im just concerned not liking it after spending that kind of money. 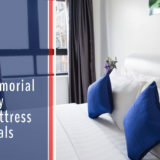 Also which amerisleep bed would be best? I’m looking for a high end bed that will offer maximum foot/leg lift. A massage feature is not required for the bed. Please recommend the best bed for comfort and rasing my legs o a maximum height. Thanks for the information it really helped, I have had 12 surgeries, in recovering from my last one done on 11/11/14 and I’m going back sometime this week cuz I’m leaking spinal fluid, my husband is also schedule for back surgery due to an accident at work but continue working for 22 years it got so bad there’s not much hope, he has prolonged his till I recover, so we are on a bit tight budget. Doctor recommended us to get an adjustable bed w/ memory foam mattress so We’ve been searching for months to try an get as much possible for our money but it’s so hard and confusing. We were told to wait for Black Friday but it’s still not that easy this information you provided helped a lot but how would we know if the company / store we choose is really honest and trues-full to there customers with their product quality, warranty and everything they offer. Especially if we have never, or know someone who have bought something from them. We can’t afforded to throw money away nor need any more head aches or stress. We had a really bad experience with a double recliner sofa we bought from Jennifer’s convertible 5 yrs ago it was not cheap in price but the worst ever in quality and the xtra we paid for the warranty was not even close to what they told us and offered when they convinced us to purchase the warranty. So if we can please get a bit more help with information we’ ll honestly appreciate it. We have a budget of $1500.00 wax, & we need, queen size adjustable bed w/ memory foam mattress combo, wireless, massage, huggable to fit our bed frame, back up battery, & of good quality so it can last, honest w/ product quality & good customer service. God bless you & family, We will keep you in our prayers an god will bless you for helping a brother& sister. The best way to get more information on a company or brand is to check for reviews online and see what experiences others have had. Look for reviews that have “third-party verification” meaning an independent source verifies that reviewers are actual customers. Checking warranty terms and fine print is also a important step. Compare the features and guarantees between different brands to see which ones give you the best value for the price. We recently added Black Friday sales to our blog (check the latest post). 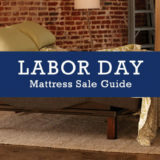 Brands we found offering adjustable bed + memory foam mattress deals include Serta (sets from $2474), Tempurpedic (sets from $2098) and Amerisleep (sets from $1598). The Serta Motion Perfect II and Amerisleep Ergo Invincible both have good reviews and warranties and all of the other features you listed. Hope this helps you find a comfortable bed, and thanks for reading. Thankful for the detailed info. as mentioned; the best base is the one that meets your specific needs.